November is always a crazy month. Between book fair, parent-teacher conferences and Thanksgiving break, getting things ready for the MakerSpace can be hard. Have no fear! Here’s a few quick and easy activities you can put in place today. 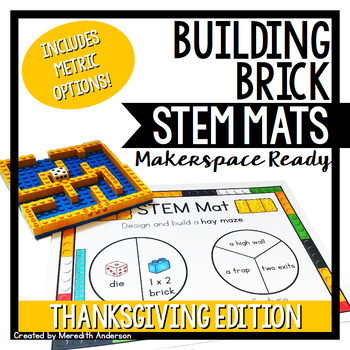 Thanksgiving STEM Challenge Mats from Momgineer: I have been fortunate enough to have a lot of Legos in my MakerSpace so I’m always looking for ways to use them for just creative play, but also as a more focused challenge. 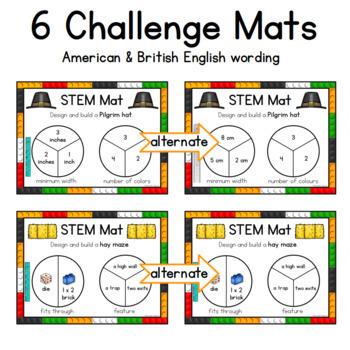 These Thanksgiving STEM Challenge Mats from Meredith Anderson at Momgineer were a perfect fit. You do have to purchase them at Teachers Pay Teachers, but for only $3.50 it’s definitely a great deal. I am only using it as a quick activity, but with all the resources she includes you could definitely make it longer unit of study if needed. In the activity, students spin and get characteristics for building a specific item (turkey, hay barrell, cornucopia, etc.) using Legos. What I like is that students can do the same activity over and over since the challenge will change based on what they spin. 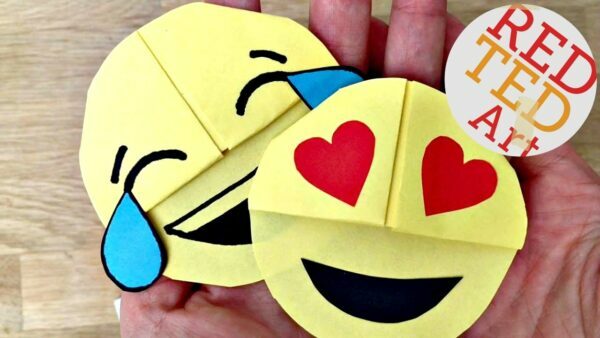 Emoji Corner Bookmarks: My students love working with paper and bookmarks. Knowing this about my creators, I loved Red Ted Art Emoji corner bookmark. All you need is a piece of paper, some crayons and you’re ready to go! Click here for a video showing you how to make them. You can also find written out directions here. Toilet Paper Roll Crafts: My students had fun making toilet paper mummies last month so I decided to keep the creativity rolling with toilet paper turkeys from the blog Easy Peasy Fun. What I like most about this particular version is you use leaves from outside which are very plentiful this time of year or you could use any leftover leaves from last months leaf bookmarks. Glue brown paper onto the toilet paper roll or color it green with markes/crayons. 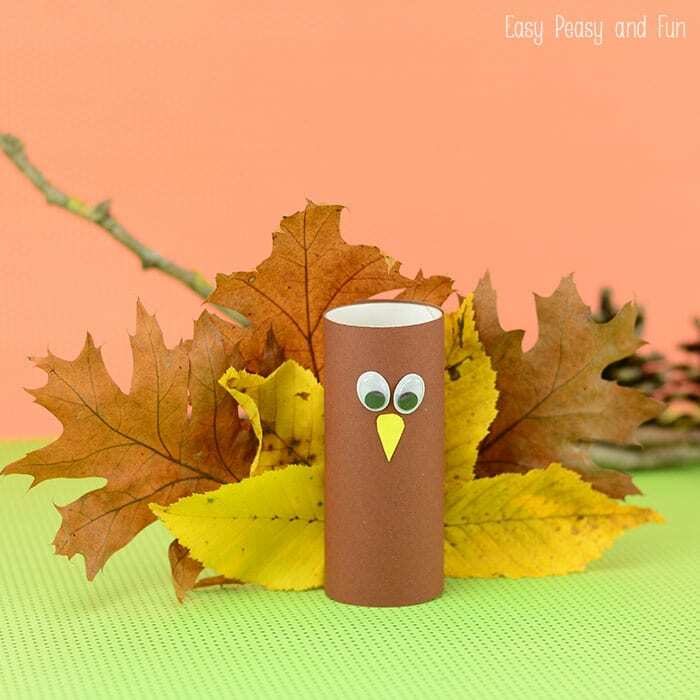 Use white school (liquid one) glue to glue on the leaves to the bottom of the paper roll (start with the smallest ones). Let the glue dry a little. You could also use larger paper clips to hold the leaves onto the toilet paper roll. Glue on beak and eyes. Tah- Dah…. you’re done! Gobble, Gobble! Explore Item of the Month: Every month, I try to take out a MakerSpace item as a focus for the students to explore and create with. For November, I am taking out something new called Straw Connectors. Click here to watch a video preview of what it is. Straw Connectors are super fun! You use the straws and connectors to create whatever you want. The straws are flexible so it allows for great possibilities. I can’t wait to see what my students design. Happy Making!